The song also doesn't have an especially hummable melody to speak of, although it's quite upbeat and pleasant. I also like her singing voice, which is pure and pleasant and has the ability to express just a tinge of bittersweetness; it's like a huskier version of Annie Haslam. (I realize the lyrics are not always upbeat and pleasant; however the actual tones of the music excrete rather warm and vibrant colors. If she didn't give her music the appearance of being upbeat, then I doubt she would have won a Grammy and sold so many copies of this album.) My favorite part of that song is something that comes in a burst--a sprightly strummed jingle guitar coming at the beginning of the chorus, which creates an energy that hits my face like a warm ray of sunshine beaming through the window. I suppose I could complain that this album isn't especially diverse, and I have trouble coming up with unique things to say about each of its songs. When I first gave “Another Long One” an A-, it was out of pure instinct. I thought about why later and discovered that it was mostly because it has a series of tinny hi-hat hits in the verses and there's a xylophone in the chorus. Aren't those 'minor touches' fickle reasons to like a song? But hey! They stood out! Now why isn't this album filled with such instrumental stand-outs? May I say suggest she was playing it a little bit safe and not experimenting a whole heck of a lot? "Shotgun Down the Avalanche" features a well-developed atmosphere--its well-written lyrics are about love and forgiveness. I like them. 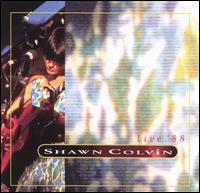 Other songs, such as "The Story" and "Stranded" features Colvin singing beautifully with her acoustic guitar, generally unencumbered by other instruments; the latter song seems to be an actual personal story of her troubled childhood. 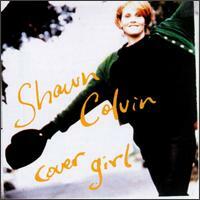 Somebody lectured me, stating that any review of Shawn Colvin requires me to mention that she had a rough past. Indeed, she used to be suicidal as well as an alcoholic/druggy. Her life was sad and awful. And I would react to anyone who successfully recovered from such a situation in the same way: Thrilled to the brink of death. (More selfishly, I'm glad to have been able to listen to her albums.) With that said, I really don't understand what mentioning an artist's past has specifically to do with a work of art. The artist creates a work of art. After that, it essentially becomes timeless and changeless. (Exception: George Lucas.) If I go to the Lourve and gaze at The Mona Lisa, it would continue to be The Mona Lisa whether or not I knew Leonardo DaVinci had a ridiculously stringy beard. Perhaps the stringy beard was a factor in the creation of The Mona Lisa? Who knows? All I see when I look at the painting is an eyebrowless woman smiling. Anyway, back to the album. I do confess to having lukewarm feelings about it. I wish the melodies came across as more memorable, that the songs were more diverse, and it had less of that uber-polished, adult-contemporary smoothness to it. I tend to prefer folk music with a little more earthen grit to it. This is why I can only muster a weak 11/15. It doesn't make the hugest impact on me, but it does make an altogether pleasant listen. Not even if I tried could I bring myself to dislike anything about it. And why would I try? If you're the kind of person who likes albums like this, then take it with you on your next drive to the sunny countryside and ponder over its thoughtful poetry. Also, I really like “Ricochet in Time.” It has the sort of flowing, hook-filled melody that I wish all these songs had. And I'll never understand why she chose to bury it as the penultimate track. It has the same kind of pastoral atmosphere as everything else here, but it has an actual hummable MELODY that I really love. The drum beat is a toe-tapping shuffle, which is a kind of drum beat I can stand behind, and those dreamy slide guitars make wispy clouds in the background. It's so lovely and far better than the closing song, “The Dead of the Night,” which has bland verses and a big chorus that comes off as lumbering and overblown. But I suppose we can just attribute those qualities to the inescapable tentacles of 1989 production standards. Ah, never fear, my dear reader, the '90s would be upon us soon. Here is what I am going to tell you: I like Shawn Colvin. She writes nice music. You know what I mean by nice, don't you? Please don't think I'm suggesting she writes lyrics about puppy love or marshmallow puffs or minty fresh breath. She writes about serious things. People who despair. People leaving their families. People losing their hope. People reminiscing on lost friendship. People losing their innocence. These songs are serious in the way that Lifetime movies are serious. There might not be a happy thought sight, but yet, you still notice that the sets are well-arranged and the soft tones of the film are pleasing to the eye. 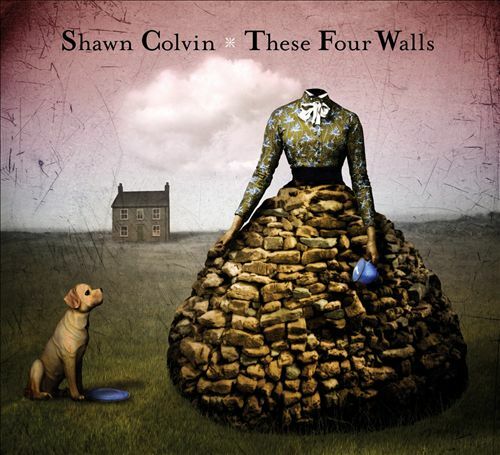 And trust me, I'm not saying that Shawn Colvin writes stuff that are like stilted and pointless Lifetime movies. It's just that her lyrics seem sort of off-in-the-distance to me. It's like I'm not really able to get inside of them or even, really, to approach them. For instance, I listened to “At the Harbor” by Renaissance recently, and I heard Annie Haslam describe to me the things she was seeing by the sea. And then I saw them, too. Colvin's lyrics are all lovely things to read, but they don't resonate with me. Thus, when I listen to her albums, I tend to concentrate on all the pretty colors. And the pretty colors are her high-pitched voice as pure as nectar, her sprightly strummed acoustic guitar, and the cute melodic hooks, when she's got 'em. And the album starts right away with a solid hook in “Polaroids.” The instrumentation there is minimal; all you'll hear other than Colvin is a playfully strummed acoustic guitar, and a mild drum shuffle. Otherwise, there's a very quiet, atmospheric instrument in the background, which I want to describe as sounding like a cross between a foghorn and a whale. My only real criticism of it is it tends to repeat a lot and it loses its potency by the end of its, er, six minute running length. My favorite song is called “Tennessee,” and it ROCKS. Well, that is, it doesn't rock any more than allowed for an adult-contemporary / contemporary-folk / radio-friendly-thing-from-the-'90s. It does have a bit of a country-rock flair to it--danceable bass, swaggering electric guitar, slide guitar, fiddle, clean drums, a consistent tattering of acoustic guitars. There's even a pretty good, electric guitar solo in the middle that sounds like it's always swerving. I like that she manages to allow her vocal melody to wander about in the chorus, seemingly with the aim to pick up as many hooks as it possibly could in its journey. Another clear favorite is “Round of Blues,” another song I'd suppose was aimed squarely for those friendly adult-contemporary radio stations. Nothing wrong with a little financial success, especially when you can write songs that are such a joy to hear. I mean, God knows that station was awful back in those days, but occasionally a good thing would slip through the cracks. It's an upbeat tune, naturally, with Colvin's bittersweetly singing alluringly amongst steady and polished drums and more of her--probably trademarked by now--sprightly guitar strumming. Other songs are also “nice,” but I don't like them as much as the stuff mentioned above. Unfortunately these songs take up the majority of this album, which means means they constitute a rather significant drag. But even these things make generally good listens. “Tenderness on the Block” is a Warren Zevon cover, a nice thing to hear with a fine melody that's very well put together. “Monopoly” and “Orion in the Sky” are thoughtful ballads that are both rather sparse with well-written melodies, but I can't say I truly buy into the experiences. The album-closer “Don't Know Why” engages in a heavy use of synthesizers, giving it a bit of a 1985 feel, and there's a very gradual instrumental build-up along the way, which unfortunately isn't nearly enough to generate any sort of momentum. “Climb On (A Back That's Strong)” has more of a backing beat, but unfortunately the melody is fairly sterile. “Object of My Affection” is similar to that, but its chorus pops out at me better, and I like the flamenco-dancing hand-claps in its instrumental interlude. The seven-minute epic “Set the Prairie on Fire” starts out with some verrrrry subdued acoustic guitar licks with a bit of attitude, but unfortunately the song barely manages to get beyond that subdued state, and I get bored to tears. So anyway, I might not think this is the greatest album in the world or anything, but I like it well enough. It's a good thing to listen to at work, I've discovered. It's a gentle blur. It's not really a whole lot worse in quality than Steady On, but considering that one was just teetering on an 11, and this album has such a weak second half, I'm afraid I'll have to go with a regrettably lukewarm 10/15. It does seem premature for an artist only two albums into a discography and to be releasing a covers album already. But these were songs she performed commonly in her repertoire before she landed record deals, so I suppose Cover Girl was a return to roots. The majority of these songs I've never heard before, and there are few surprises among the ones I have heard before. One of the surprises is the opening song, a cover of The Police's “Every Little Thing She Does is Magic,” which is nothing like the original: it's far looser, and the primary instrument (as you might surmise!) is the acoustic guitar. There are a few blocky string-keyboards flaring up in the chorus, which shows how far less polished this album is than her previous two. However, this was a hybrid live/studio album, so I suppose a too-polished studio cut would've made the bare-bones live cuts seem out-of-place. Her cover version of Tom Waits' “(Looking For) The Heart of a Saturday Night” doesn't sound a whole lot different than the original. It's just Colvin and a bittersweet melody with an acoustic guitar. The only difference between the versions is the guitar strumming itself; her version seems far more... er... sprightly! And I suppose the Waits original had bass, which we don't get here at all. Another 'famous' tune is Bob Dylan's “You're Gonna Make Me Lonesome When You Go,” and its status as a folk song is left entirely unscathed my Ms. Colvin. The penultimate song is interesting, though, a cover and total reinvention of Talking Heads' “This Must Be the Place (Naive Melody)." The original was danceable, but here, it's a thoughtful ballad, and she does a nice job of it. I don't think she needed the 'sweeping orchestra' midway through, though; her sweet voice and her guitar were enough to make it work for me. I've heard of the guy who wrote “If These Walls Could Speak” (Jimmy Webb, of “MacArthur Park” fame), but I've never heard that particular song before. It seems to be most notable for Amy Grant's version from 1988, which consisted of her singing heavily with a mere piano (and a subdued string quartet). This version consists of Colvin singing lightly with a mere guitar. Both versions are OK in my book, but they're not particularly memorable. A weird, old song that she must've picked up on the dusty shelves of rock 'n' roll is The Band's “Twilight,” which you'll only find among the bonus tracks of their 1977 disaster Islands. I've reviewed that album twice, and I still forgot that song existed! Anyway, Colvin's version is far more wistful, marking a slight improvement over the original, which was like '70s soft-rock threatening to turn into tropical music. She also covers an obscure '70s folkie named Judee Sill whose song, “There's a Rugged Road,” is... er... not bad. I listened to the original, and Sill had a creepy singing voice that seemed to get louder the longer she sustained her notes. Shiver. So I'll count that as another improvement. Who is Steve Earle? He wrote “Someday.” I had figured it was a Springsteen cover until I learned that it was by somebody named Steve Earle. It's not bad, but I'd rather listen to Springsteen! “One Cool Remove” was written by Greg Brown, a prolific folk singer-songwriter in the '80s who I've never heard of. What makes this particular cover notable is that it's a duet with Mary Chapin Carpenter; Carpenter and Colvin were best-of-friends. “Window to the World” was written by someone named Tom Littlefield who doesn't even have a Wikipedia page. ...Yeah, if you don't have a Wikipedia page, then you pretty much don't exist. I mean, it's a pleasant song with an OK melody, but it's without an author, so I find myself unable to say much more about it. 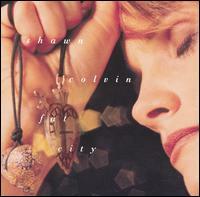 Like a lot of musicians just starting out in the music industry, Shawn Colvin made a name for herself for live shows before the studio albums. And—lo and behold—she had already been performing live a lot of the songs that she'd eventually record for Steady On and Fat City. Wouldst thou like to hear what she sounded like at those live shows? If so, then you're in luck: This here album captures her live performances from the late '80s. And this was what her live shows sounded like: Shawn Colvin singing with a mere acoustic guitar. It's not unlike Bob Dylan's early albums, except he was nice enough to also give us a harmonica! (And no, I'm not at all suggesting that Colvin should have harmonica on her albums. That wheezy instrument wouldn't mesh well at all with Colvin's blue-sky vocals.) If you think the prospect of Colvin singing with a bare acoustic guitar would be boring, then you're probably right and should keep away from this album. This thing is only for her true-blue fans. And I like Shawn Colvin—really I do—but I wouldn't call myself a true-blue fan. Maybe a passing fan, more like. I'm going to go actually see her live in a coupla weeks, after all. The obvious problem with acoustic-only live albums is that there isn't a whole lot of variety to the way the songs sound. At least there is a nice variety of quick tunes and slow tunes that are interspersed throughout, and she was a talented enough of a songwriter that the melodies are generally distinctive from one another. She's also a good enough live performer that I'm undecided whether I prefer the studio versions over the live versions. One thing in its favor is that the recording quality is utterly flawless... being from 1988 and all. Also, the audience is very polite, allowing Colvin to sing her quiet songs without making a peep other than to applause nicely when her songs are through. The other boon of these live recordings is that none of them are washed out with those dreary synthesizers. That explains why—for the first time ever—I've come to enjoy “I Don't Know Why.” A gently textured acoustic guitar simply suits it better. Hearing another version of “Ricochet in Time” proves how underrated I think that song is in Colvin's repertoire. It's such a pretty song, and the melody flows like the water of a calm brook. Everyone and their pet puppies think Shawn Colvin's best moments lie somewhere around “Polaroids” or “Shotgun Down the Avalanche.” But **PISH** to that, I say! “Another Long One” is another excellent moment, and it surprises me that I like it despite its lack of xylophone and hi-hat (which were the two reasons I said I liked it in my review of Steady On). Then there are a few songs I was never really wild about, and my opinions of them haven't wavered one iota here. “Something to Believe In” really does nothing for me. 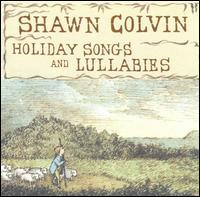 I know Shawn Colvin's true-blue fans will cite the lyrics as the reason for liking the song... But seriously, a song has to musically engage me somehow before I start paying attention to the lyrics! (That's a probable flaw on my part, but … oh that would be one of my many, many flaws and not even a very important one.) A couple nice additions of the album are two covers that were not included in Cover Girl: Dave Ball's “Don't You Think I Feel It Too” and Simon & Garfunkel's “Kathy's Song.” Both are pretty lackluster, though. Now this is where Shawn Colvin and I become good friends. Her decision to go full-fledged pop-rock for her fourth studio album was the best musical decision she made ever since she picked up an acoustic guitar for the first time at age 10. (I caught that factoid on a brochure I was given at her concert that I attended recently.) Her songwriting has also improved so vastly that it can hardly even compare to anything she's released before this. For starters, the opening two songs are unbeatable. If you only hear two songs from this album, make it those. “Sunny Came Home” starts off with a brightly textured, high-pitched acoustic guitar that plays a rich jingle before it delves into densely orchestrated verses featuring some heavy bass, clean electric organ, and boldly strummed acoustic guitars. And then the chorus happens, which is the sort of chorus that sticks in the mind from the first time I heard it. At first listen, the overall tone of the song might come off as happy, but there's a different story in its lyrics. That is, this song has a main character, “Sunny,” who sets her house on fire. I certainly prefer these sorts of lyrics to the autobiographical things she gave us on her earlier works. Best of all, I “Get Out of This House” equally as much as that. It's a different sort of song that creates an earthen rock 'n' roll vibe like I've never heard out of her before. I would describe it as a slightly more polite version of peak-era Stones. Of course Colvin would have a difficult time ever really producing gritty music, because her voice continues to be cute as a button. However, I do hear her trying to adopt a bit of a snarly Stevie Nicks vibe to it, which doesn't exactly play to her strengths but nevertheless kind of works for her. Another song that I find absolutely fantastic is “You and the Mona Lisa,” which has OK verses but a chorus that totally *pops* out and blows its minty fresh breath in my face. I mean, wow, those hooks! That song's overall atmosphere is quite dense and bittersweet, which is exactly how I think all folk-rock should sound. And maybe the star of that song, for me, is the blaring harmonica. The harmonica also featured throughout “Get Out of This House,” which was probably why it reminds me so much of The Stones. There's even more excellence found in this record and proof positive that Colvin was ON FIRE for this whole album. “I Want it Back” starts out with a subdued groove and some reserved singing, but then Colvin hits the loud and passionate chorus in which she sings simply: “I WANT IT BACK!” That's yet another excellent example of lyrics that capture me, which is a rare thing for them to do. Of course, the main reason I like the song is the spooky rock 'n' roll groove she provides. It even has some brilliant background decoration in the form of bending bursts of electric guitar. “Wichita Skyline” I feel the need to highlight because I've spent the best years of my life living in that city. Although the city was brought up solely as a metaphor as opposed to some kind of tribute to it. (Who the hell would ever make a tribute to Wichita, anyway?) But anyway, that's an excellent song. The melody starts off sounding quite a lot like “Polaroids,” but it quickly meanders from that and finds hooks that "Polaroids" never dreamed of. I guess that's what comes from using more than two chords in a song. And this is where Shawn Colvin and I resume once again to being strangers who can never seem to see eye-to-eye about anything. And, no, I'm not saying this because I'm against Christmas albums. I mean, as a rule, I don't like them, but I'm not closed off to the idea of perhaps liking a few of them. Unfortunately Colvin's contribution to the family isn't among the ones I like; it has me clawing up the walls it's so borrrrrrrring. There are two kinds of Christmas albums: The usual kind and the unusual kind. The usual kind are fluffy and jolly. The unusual kind are the opposite and are meant to be artistic as opposed to kitschy. Colvin's is cold, lonely, and depressing, so let's call it "unusual." Furthermore, she focuses chiefly on lesser known Christmas songs, singing them with her hearty, peaches 'n' cream voice, and orchestrating them with pianos and guitars. My primary complaint about this album is that so few of these songs actually feature her acoustic guitar and instead feature a sullen piano. Sullen pianos can be wonderful, expressive things, but her use of it doesn't do anything for me. All they really do is have me is thirsting for her acoustic guitar, making me out like an explorer lost in the Sahara looking desperately for an oasis of acoustic guitar. Her previous albums were so chock-full of this guitar and her songs seem utterly lifeless without them. Maybe the only reason I liked “Windy Nights” so much is that it comes right after three piano songs in a row. ...It's a perfectly nice song in its own right, although not an especially memorable one. It was actually composed by contemporary songwriter Alec Wilder, and the lyrics were taken from a Robert Louis Stevenson poem. Other lyricists Wilder resurrected include Rudyard Kipling for “Seal Lullaby” and Eleanor Farojeon and Frances Frost for “Evening is a Little Boy/The Night Will Never Stay.” The latter is one of the highlights of the album not only because it prominently features guitar, but its melody is also quite pretty. The rest of the songs are typically ancient songs that are credited to that songwriter named, simply, “Traditional.” One of them, “All Through the Night,” I think I remember playing when I was a kid taking piano lessons. Maybe it's not such a bad song to hear when you're a kid trying to learn the piano, but Colvin's version is all so very sad. All I hear is a piano playing blocks of chords and occasionally a faceless string quartet pipes in. It's dank. Maybe worst of them all, she also sounds bored singing it. However, at least that song is not as awful as “Silent Night,” which is one of those songs I wish people would stop singing. It might have been the coolest thing on the block in its day (the early 1800s), but after The Rolling Stones wrote “Satisfaction” in 1965, it hadn't any reason left to exist. “Christmas Time is Here” is the song you might remember from A Charlie Brown Christmas. It's played exactly the same, and so all that's left to decide is if you prefer Colvin's voice to the kids choir from the original. ...I'm going with the kids choir; Colvin's characteristically unrehearsed voice was charming and even essential for her previous folk albums, but this is the sort of song that has to thrive with careful perfection. Each one of Colvin's notes is sung at a different, quasi-random volume. There are a few notes she even occasionally slurs. Probably the most annoying Colvin performance is “Love Came Down at Christmas,” which is a song that drones and her voice comes off like some kind of fire siren. 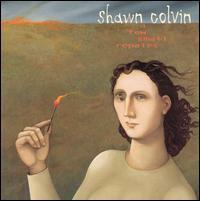 Colvin wisely continued in the same pop-rock vein as A Few Small Repairs for this follow-up album. (Can we please agree amongst ourselves that Holiday Songs and Lullabies was just a bizarro side project?) While this album doesn't have anything on it I enjoy quite like “Sunny Came Home” or “Get Out of This House,” this is a solid product filled with pleasant tunes that always seem catch my ear. And not least of all, of course, I always revel at the chance to hear Colvin's singing voice once again, as sweet as a peach. But as usual, I tend to enjoy Colvin songs for the melodies, when they're present. And the hooks in the title track flow like a blue, babbling brook. In particular, I'm enamored with that soaring chorus, which gives me the urge to sing along. But let's not also forget that the absorbing instrumentation and studio polish had their hand in making it shine. It features a heavy drum beat, dense self-harmonization, fun pop-guitar, and a George-Martin-esque string sections. The songwriting is even sophisticated enough to include an atmospheric middle-eight section and an actual ending as opposed to a weak fade-out that characterizes the majority of pop songs. Good song! “One Small Year” is a pastoral ballad that seems to grow on me the more I listen to it. It might not be nearly as ear-grabbing as the songs I'd already brought up as highlights; however, its melody is haunting and the gentle instrumentation is absorbing. “Bonefields” is a similar sort of song--it starts out subdued and atmospheric, but it has a brighter chorus that manages to rise up above it all. “Mr. Levon” never really gets out of the ominous state from which it starts, but even that song wins me over because I seem to hold onto her whenever she sings “Mr. Levon left it there” in that heightened, dramatic state. You might be able to claim that the song is overproduced, but I wouldn't want to take away that bubbly organ sound for anything. The closing song is a Randy Newman-ish piano ballad “I'll Say I'm Sorry Now,” which might not be brilliant and not nearly as good as Newman himself does it, but it's wholly decent. 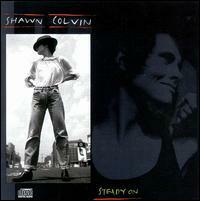 All in all, I believe this is an excellent album from Shawn Colvin. If you like her stuff (even if you might disagree that this is better than her first two ablums), then I'd recommend wholly giving this a go. 12/15. The album begins with “Fill Me Up,” which isn't anything too far removed from your typical folk-rock. It has acoustic guitars strumming away, slide guitars, and hefty drums. 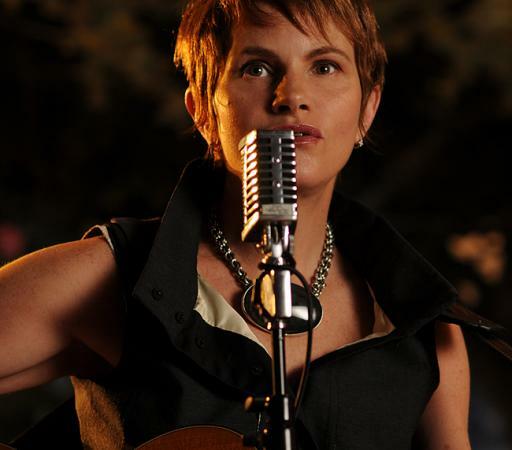 Of course, this being Shawn Colvin, we get another dose of her honey-pure vocals, but what I like most about the song is its smooth and engaging melody, which is loaded with plenty of ear catching hooks. What makes me hold onto that song even more is that it gets louder and more passionate as it reaches its conclusion, which is something I wish more folk-rock songs would do. Another song I love to pieces is “The Bird,” where her vocal hooks seem to flow just as easily as running water. The instrumentation continues to be very standard folk-rock, but of course this was what Colvin's been doing all along. And I like everything else here. It might not be the world's most exhilarating album, but there are no significant weak spots as far as I can tell. So why don't I talk about more of the highlights? The title track starts as a light and laid back folk ditty before it picks up some momentum when more instruments gradually make an entrance. I also really love that chorus, which Colvin delivers with her sky-blue vocals brilliantly. Another one of the album's finer laid-back tunes is “I'm Gone,” which is orchestrated simply with a lightly arpeggiating acoustic guitar and a subdued drum beat. As I was listening to this album over the last week preparing to write this review, there were some lyrics that actually popped out at me. (I know! Weird, right?) It's her gruffly delivered “Tuff Kid,” which appears to be a stinging, autobiographical account of her childhood. (“My mama had me / But she didn't get me / I guess I broke her at the age of five / My daddy hit me / But he couldn't quit me / We showed each other how to feel alive”) ...Of course I wouldn't bother pay attention to the lyrics if it didn't have catchy verses and an even catchier chorus. Yes, and I even enjoy the instrumentation, which this time is loaded with some chalky keyboards and some oaky fiddle. The one song in here I seem to like the least this time around was, peculiarly, the one I liked the most in 2007. It's the slow and atmospheric “Venetian Blue.” It's by far the slowest and most depressing song of the album... so perhaps that had accurately reflected what I was feeling in 2007? ...Anyway, when I listen to it in 2012, I hear a melody that doesn't quite engage me, and--unlike some of the songs I'd mentioned earlier in this review--pretty much just sticks to the same tone and mood throughout its entire duration. An interesting song here is a cover of a Bee Gees single from 1968, “Words,” which Colvin delivers very simply with just her voice and acoustic guitar until halfway through when I start to hear a piano very deeply in the background. ...I do think I prefer it when she lets other instrumentalists participate in the action, but that's a lovely rendition of a lovely song regardless. 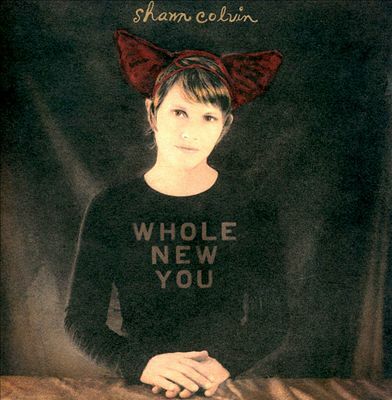 The most frustrating thing about this album was only to me as a reviewer, since each and every one of these songs can be accurately described as nicely orchestrated folk-rock with Shawn Colvin singing engagingly bittersweet melodies with her flowery singing voice. However, as a listener who has put this on several times in the last few weeks, all I can say is that I've enjoyed this album immensely enough to think it deserves a strong 12/15.